Description: New original Acer laptop replacement keyboard with ribbon cable. 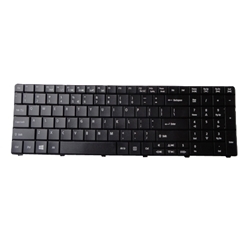 This genuine part is brand new and is used to replace your worn or damaged notebook keyboard. *Some of the models listed below have more than one compatible keyboard. Please check the pictures and part #'s carefully. If you have any questions please feel free to contact us. Part #'s: NK.I1713.03M, NK.I1717.00V, NK.I1713.02L, NK.I1717.04H, MP-09G33U4, PK130PI1A00. Acer Aspire E1-510, E1-510P, E1-521, E1-531, E1-531G, E1-571, E1-571G.